Welcome! 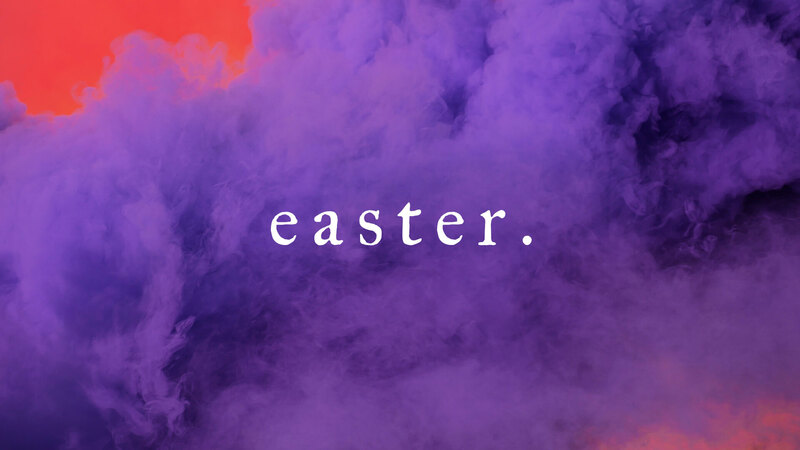 On this page you will find information on Holy Week and Easter worship times, info on our community Easter egg hunt, ways to volunteer, and the order form for Easter lilies. If you are new to Trietsch, visit the I'm New page to learn more about who we are, what to expect, and how to get connected. We're excited to meet you. Join us this Easter to hear about God's love for humanity and how we can love humanity in return. 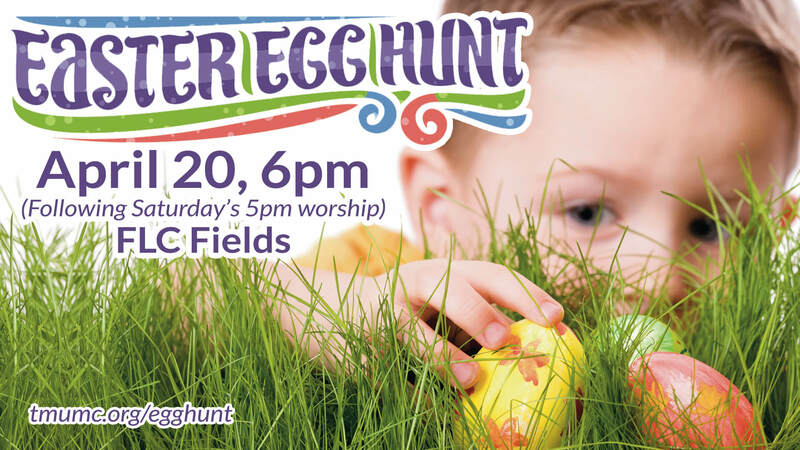 Join us in the Family Life Center (FLC) fields at 6 pm on Saturday, April 20 for an Easter Egg hunt at Trietsch that will be fun for the entire family! We will separate the hunt by age groups so that the little ones and the big kids can both have a great time. 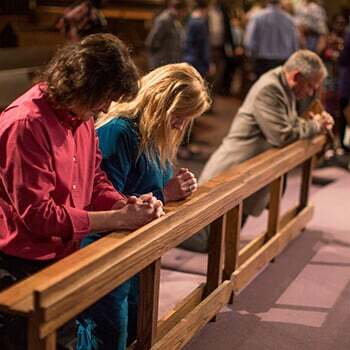 You are invited to Easter worship at 5 pm right before the Easter Egg hunt, too! 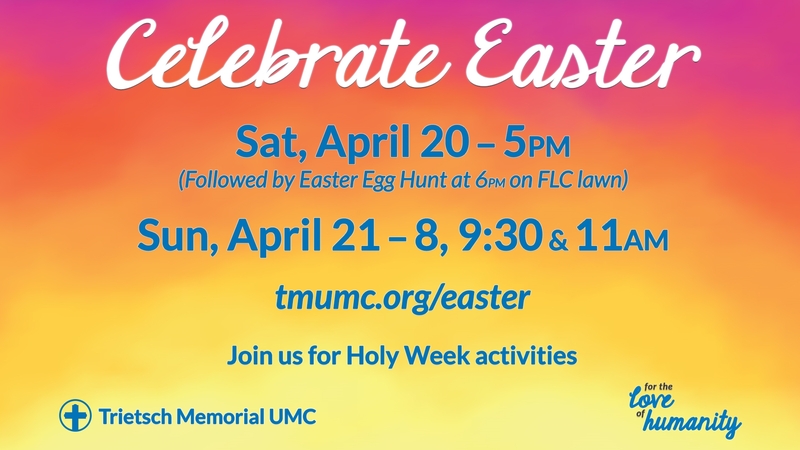 If you have questions about the TMUMC Easter Egg Hunt, please email Julie Hawkins, Director of Children & Family Ministries, at juliehawk@tmumc.org. Donations of pre-filled eggs are needed. Drop off at the Faith Voyage desk. 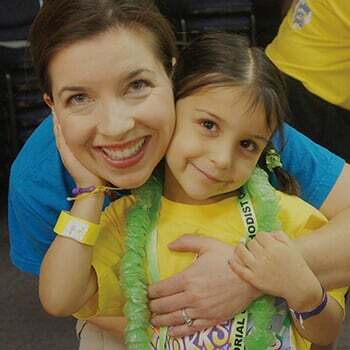 All families of Flower Mound, Lewisville, Highland Village, and beyond are invited to this community event! 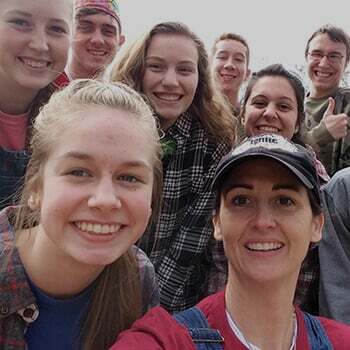 You don't have to be a member of Trietsch to have a great time at our Easter Egg Hunt. 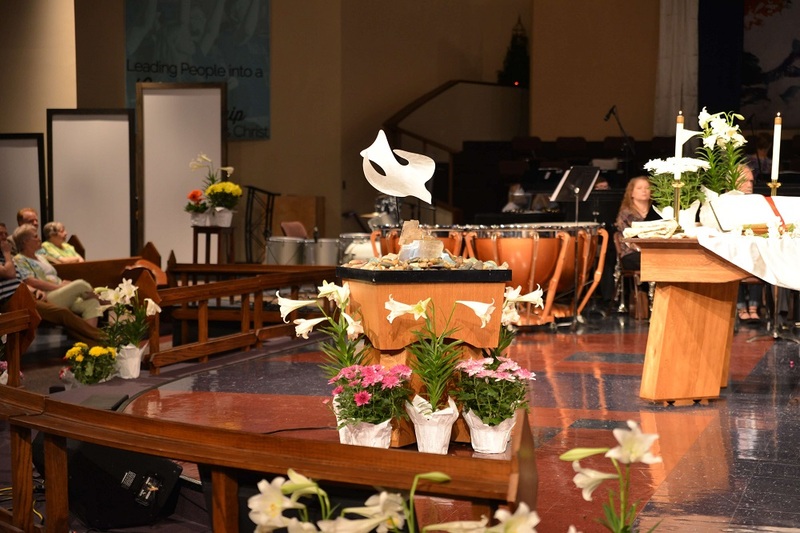 Help us make the Sanctuary beautiful this Easter by donating Easter Lilies in honor of or in memory of a loved one. Lilies are $12 per pot and you are invited to take your lilies home with you after the final Easter worship service (11 am on Apr. 21).